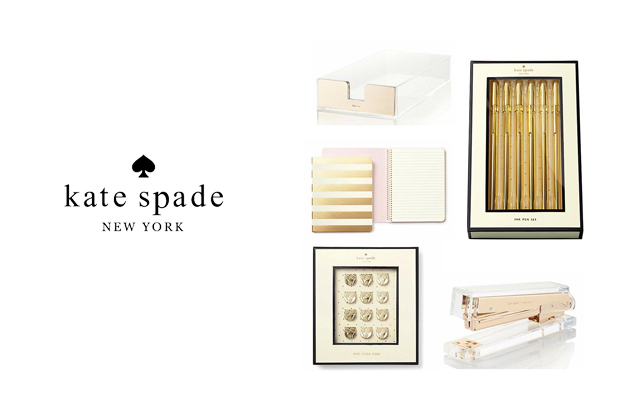 So it's no surprise that I've fallen head over heels in love with the Kate Spade New York Desk Collection, right? I believe most of it is available at your local Paper Source, and also online. The idea of a spotless workstation with just gold desk accents visible is very appealing to me (though currently not a reality, I have about a foot of space next to this computer, and a bunch of camera stowed behind it, but maybe one day there will be order!). I do have the 'things to do' paper tray and I love it. It's so simple and it stores all my most needed documents. So here's to adding a lovely touch of gold to your everyday.